In the atmosphere of cut-backs we find ourselves in, it is indeed refreshing to hear about the success of the Lake District Visitor Centre at Windermere - Brockhole. The next monthly meeting of the Lake District National Park Authority (LDNPA) members will be told the strategic masterplan redevelopment programme for Brockhole is well on the way to turning around the fortunes and future of the centre. The man in charge, Programme Director Adam Thomas (right), will explain how the number of people visiting the popular lakeside attraction is increasing and at the same time the centre is dramatically reducing the financial impacts it has on the LDNPA’s overall budget. 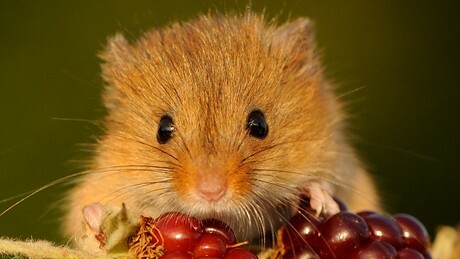 Visitor numbers to the centre have increased from under 100,000 to 230,000 and the amount of subsidy required has fallen from £315,000 to £187,000 in the current financial year. In November, members will receive an updated report detailing in full future plans for areas such as: building a new visitor centre; garden restoration; improving viewing areas; staging large-scale events; car parking; and access changes to the main entrance. With the news of so many visitor facilities facing reduced opening hours or indeed closure, it is fantastic news to hear about the success of Brockhole. Please let us know what you think about this news by leaving comments below. Berghaus has announced a range of outdoor trousers perfect for year-round adventures - just in time for the autumn walking season. 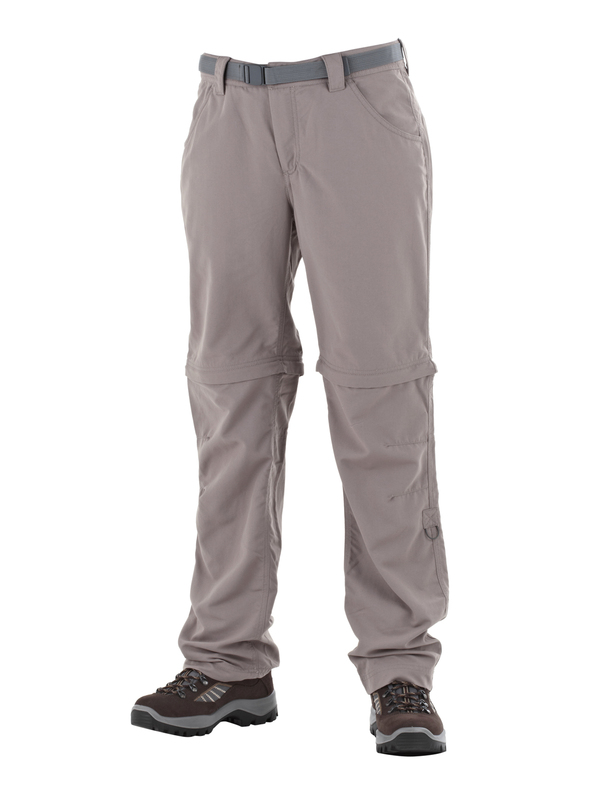 The Lonscale Pants come in a rangle of styles both for Men and Women, and are idea for walking and trekking. They are part of the Trail range, and are made out of 100% nylon together with a DWR (Durable Water Repellent) finish - which is Berghaus' special finish that is applied to the face fabric to maintain waterproofness and breathability. The trousers come in long-leg, short-leg and a zip-off leg versions. For more information, visit the Berghaus website. Special pub meals and a book of walks have been raising much-needed cash to help maintain footpaths around the Three Peaks of the Yorkshire Dales National Park. The Lion in Settle decided to help by donating 15p every time a hungry visitor to the pub ordered a main course dish called ‘Butchers Board’. And manager Ian Pilcher has handed over a cheque for £250 – raised from more than 1,600 meals – to the Yorkshire Dales National Park Authority (YDNPA) for its Three Peaks Project, which was launched in 2009 to maintain the heavily-used network of paths connecting the famous hills. “I think it’s really good to support a local organisation that conserves the area,” Ian said. From left to right: Ian Pilcher, Chris Grogan and Steve Hastie in the restaurant at the Lion in Settle. 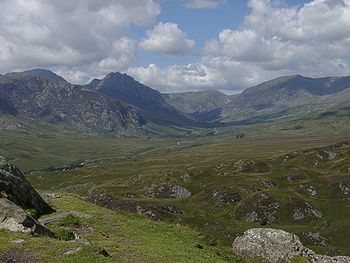 The first Three Peaks Project was established by the YDNPA in 1987, after a study by the Institute for Terrestrial Ecology carried out a study of the condition of the path network in the Three Peaks area. It concluded that the region had the sad distinction of possessing the most severely eroded network in the UK. 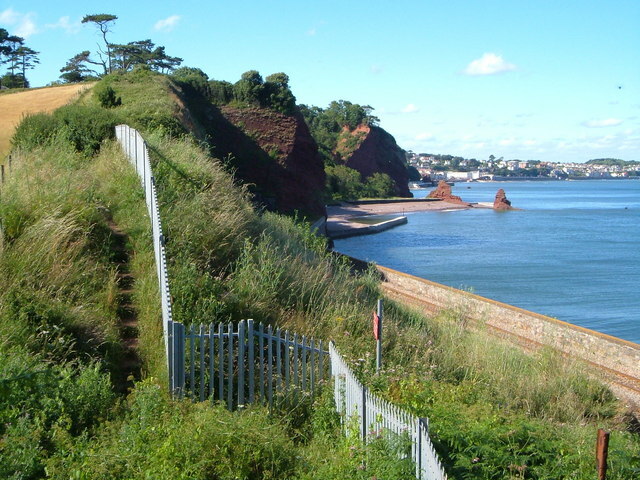 Originally started with a staff of 13, its remit included trialling new path-engineering and re-vegetating techniques to provide sustainable routes and to allow damaged surrounding land to recover. The mid-90s and early 2000s saw a number of externally-funded projects completed, each with one or two extra staff appointed. However, since 2004, the management and maintenance of the Three Peaks network has reverted back to the YDNPA’s Rangers – a team of just two officers covering the whole of the wider Ribblesdale area. The latest project aims to create a sustainable source of both practical and financial support that will help protect and enhance the area and the rights of way network into the future. Since its launch, many of the charities that regularly use the Three Peaks for sponsored events have volunteered to donate money towards the upkeep of the area. At the same time, the authors of a book of walks from stations along the world-famous Settle Carlisle railway line have been doing their bit to help the project. Tony and Chris Grogan from Saltaire-based publishers Skyware Ltd decided that a proportion of the proceeds from the sale of each copy of ‘Dales Rail Trails’ would be donated to the Friends of the Three Peaks, a group run by the National Park Authority. “I’m very happy that we are able to donate to the Friends of the Three Peaks, and that sales of the book have gone so well,” she said. The book was funded by the YDNPA’s Sustainable Development Fund – which is managed by the Yorkshire Dales Millennium Trust – and has sold more than 650 copies since going on sale at the beginning of the year priced £8 99. 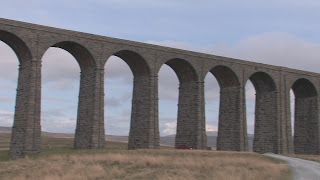 It contains 32 walks from stations along the railway line as well as a guide to the popular, 24-mile Three Peaks Challenge route and details of the 48-mile Six Peaks Trail, which links stations from Settle to Kirkby Stephen. 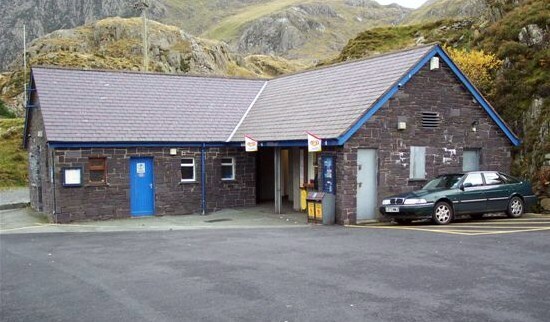 Steve Hastie, the YDNPA’s Three Peaks Project Manager, said: “The great thing for me is that these fundraising ideas came from Ian, Chris and Tony. If you'd like to become a Friend can log on to the YDNPA website at www.yorkshiredales.org.uk/threepeaks and follow the pages to join online. 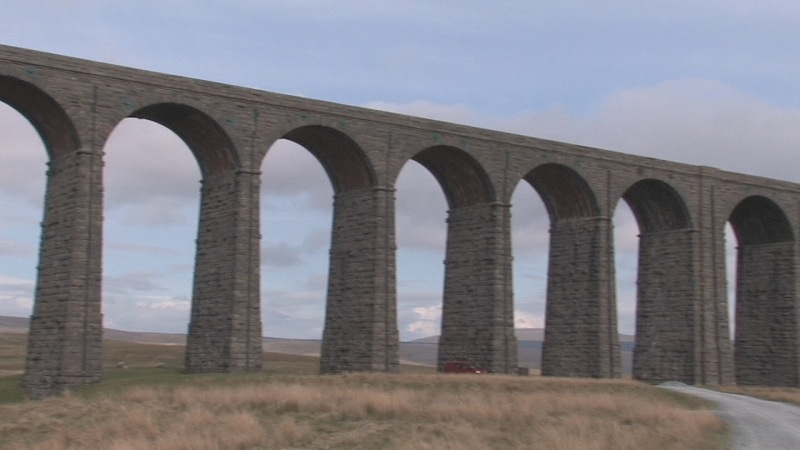 And you can watch our walking video around the Ribblehead Viaduct, which takes in part of Whernside below. The first Buxton Adventure Festival kicks of on Saturday with an action-packed programme of events. The festival programme of illustrated lectures followed by short films will be packed with speakers from the world of adventure, travel, photography and sport. Headline speakers include downhill mountain bike World Champion Danny Hart (interviewed by ITV Cycle Show presenter Anna Glowinski) and the Queen’s Olympic Opening Ceremony stunt-double Gary Connery who this summer became the first person to jump from a helicopter without a parachute. 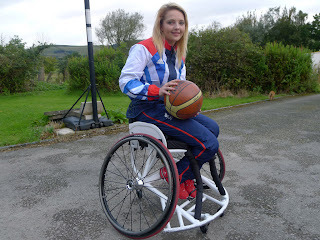 The weekend feature some of Derbyshire’s finest adventurers and athletes including Derby born adventurer Squash Falcolner who climbed Everest and was the first British woman to paraglide from the top of Mont Blanc. There’ll be talks from Bamford’s internationally renowned travel photographer John Beatty and Belper writer Gordon Stainforth - who’ll be talking about his latest book ‘Fiva - An Adventure that Went Wrong’ chronicling he and his twin brother’s brush with death on a teenage climbing expedition. Other speakers include author of cult fell running book ‘Feet in the Clouds’ Richard Askwith (interviewed by adventure sports writer Nik Cook); chair of the River & Lake Swimming Association Rob Fryer; and award-winning cave-diver and film-maker Gavin Newman. In addition to the events at the festival, there's also the first Peak District Autumn Walking Festival - details of which can be found here. Taking a walk with the family is a great way to spend some time together and to get healthy exercise, but how many times can a family walk around their own neighbourhood. After a while, the same old route may get a little boring. That’s why planning a walking holiday for the next family trip may be just what the doctor ordered. A walking holiday is perfect for people of any age that want to get away, see some spectacular sights, and not gain weight while traveling! That’s why walking holidays are great for the whole family – it keeps mum and dad active and allows the kids plenty of things to see and do. A walking holiday can include everything from a long-distance hike to relaxed strolls along a coastal path; it just really depends on the destination. So here are five of the top walking destinations in the British Isles to consider for the next family holiday. The Lake District is one of the most beautiful and serene destinations in the United Kingdom. The scenic beauty of the lakes and mountains has attracted millions of visitors over the years and is the ideal backdrop for a walking holiday. Be sure not to miss the Southern Fells, home to Scafell Pike, the highest mountain in England - though every area within the district is ideal for an extended trip or a quick weekend getaway. 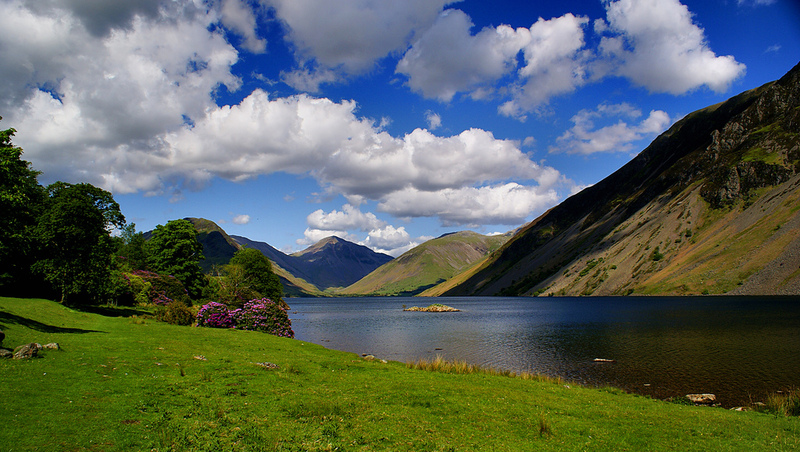 Families may rent a cabin or choose to camp in the Lake District National Park. Camping allows families to bring their own village garden furniture for comfortable al fresco dining. Using a campsite as a base the family can enjoy the easy, moderate, and difficult walking trails, which vary in length, at their own pace. The Isle of Man is one of the best locations for a walking holiday simply because there is so much space. Measuring 33 miles in length and being 13 miles wide, this destination offers some of the most breathtaking countryside views in the British Isles. For families that want to get a taste of every type of scenery the British Isles has to offer, the Isle of Man has it all – majestic highlands, layered cliffs, valley slopes, woodland glens, and of course sandy beaches. With miles of footpaths, the Isle of Man is ideal for hiking beginners, leisure walkers, and families with young children as well as the most experienced walker. Remember though, the Isle of Man isn't part of the UK, so you'll need some form of photo ID to travel to and from. Between Cromer and Hunstanton, the Norfolk Coast Path offers an enjoyable route for any enthusiastic walker on holiday. 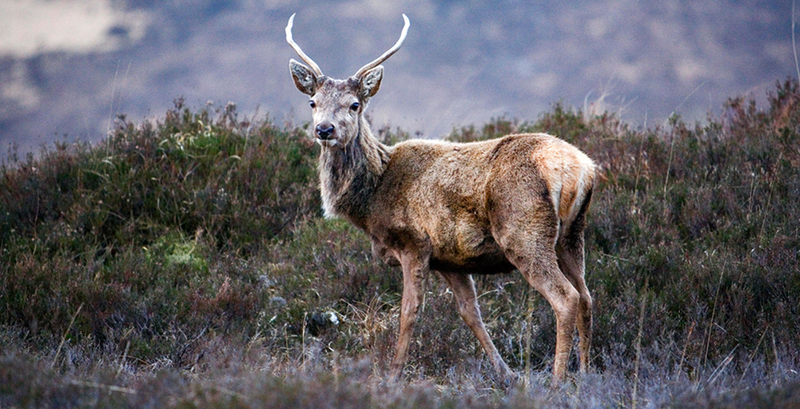 Following along the coastline, this national trail has an abundance of wildlife that can only be seen in the UK. There is birdlife in abundance and the walk passes through some nature reserves. 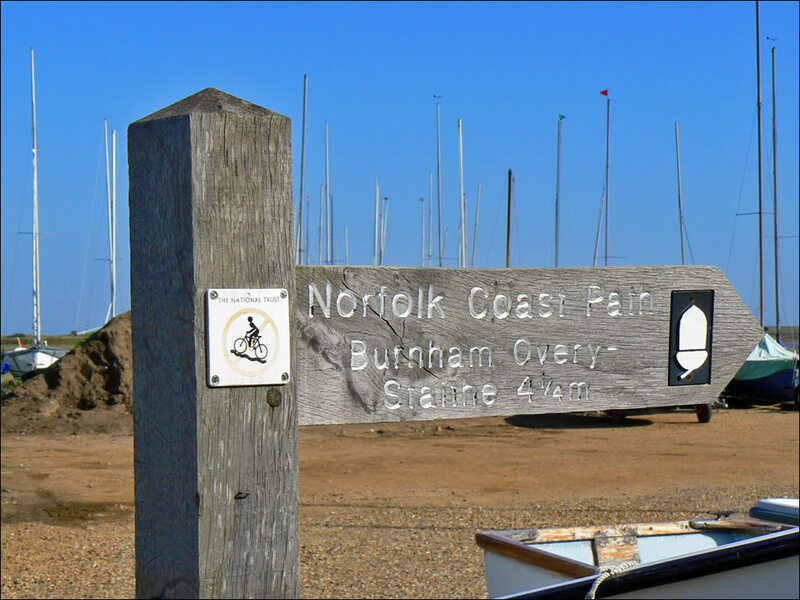 Salt marshes, sandy cliffs, and crashing waves are features of the Norfolk Coast Path. Because the path remains at sea level, there is some walking on the shingle shoreline and the beach itself; these sections can be quite tiring. 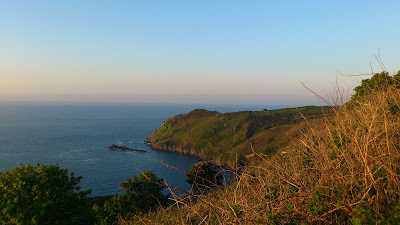 Do not be put off by this, as this is a wonderful coastal path that rewards its users with some wonderful scenery. For a dramatic coastal walking holiday and a taste of the wild upland moorlands, the North York Moors are the perfect destination. The interesting ancient villages with ruined abbeys and a restored steam railway complement the beautiful rural scenery. 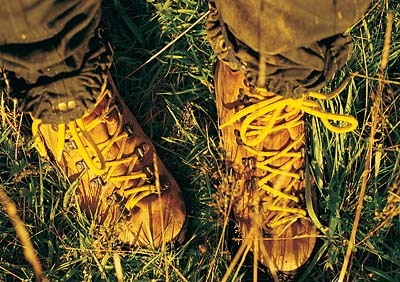 Walking enthusiasts will enjoy the well-developed footpaths offering a wide range of walks. 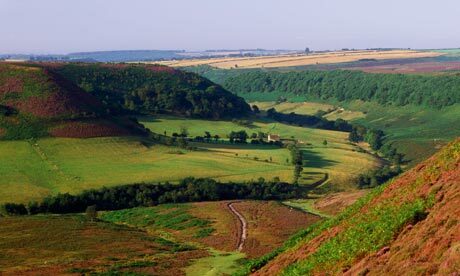 Covering almost 600 square miles, the North York Moors is home to one of the most picturesque national parks in the United Kingdom. For those hoping to experience a walk to remember, the South West Coast Path is one of the longest national walking trails in the UK. With a variety of landscapes and seascapes, it is also one of the most challenging. Don’t forget the camera and good walking shoes on this trail, as the high cliffs and rich wilderness are a sight to behold while proving to be a great challenge every step of the way. 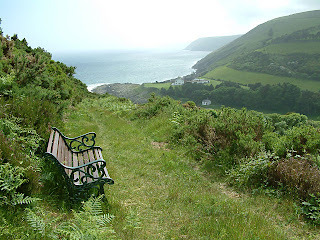 You can find walks in the Lake District, the North Yorks Moors, the Isle of Man and the South West Coast Path on our website - Walks Around Britain. 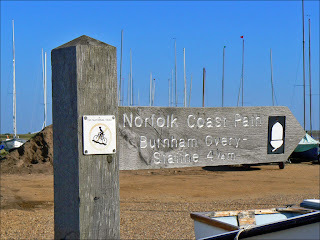 We're adding some along the Norfolk Coast Path very soon. Have we missed out you're favourite destination? Please let us know what it is and why. When you've got dogs, it is sometimes hard to find walking routes suitable for them. Treks you think look great on the OS map can often be obstructed by stiles and other hazards. That was the reasoning behind Peter Naldrett's latest book Derbyshire & The Peak District: A Dog Walker's Guide - published by Countryside Books. Talking about the book, Peter said "I know from my own experience that it is hard to be sure, once you are off your home patch, where you can walk safely with your dog without the frustration of getting lost, finding your route blocked with impassable stiles or encountering busy roads. I have put together this collection of dog-friendly walks so that others can discover Derbyshire and The Peak District’s glorious countryside without these frustrations'. The 20 circular routes have been designed with maximum off-lead time and minimum exposure to roads, and vary in length from 2 to 5¾ miles. 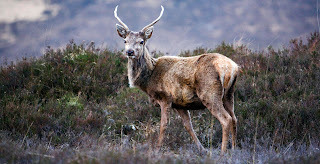 Each walk has information on the distance and terrain, livestock likely to be encountered, number and type of stiles en route and, in an emergency, the nearest veterinary surgery. In addition to the clear, numbered route instructions, each section also includes a matching numbered map, information on how to get to the start, places of interest along the way, and local pubs and cafes which welcome dogs. The routes give dogs and their owners the chance to explore the glorious countryside of Derbyshire and the Peak District, with walks beside the river Dove in beautiful Dovedale; over Monsal Head with its breath-taking views; around Torside Reservoir and Ladybower Reservoir, surrounded by lush meadows and woodland; through Poolsbrook Country Park, a glorious example of regenerated land; and along the river of Lathkill Dale with its tumbling weirs and lovely views. There is also the chance to see the historic ‘plague village’ of Eyam; the ancient packhorse trail on Stanage Edge; impressive Chatsworth House; and many charming and picturesque villages such as Tissington, Osmaston and Milton. 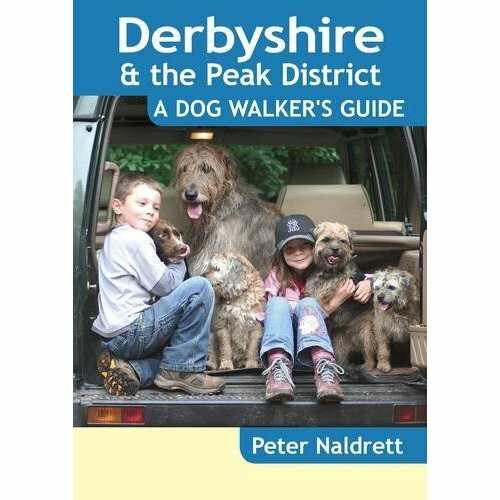 DERBYSHIRE & THE PEAK DISTRICT: A DOG WALKER’S GUIDE by PETER NALDRETT is published by Countryside Books and is available from all good booksellers, some local garden centres and attractions and direct from the publishers at www.countrysidebooks.co.uk.